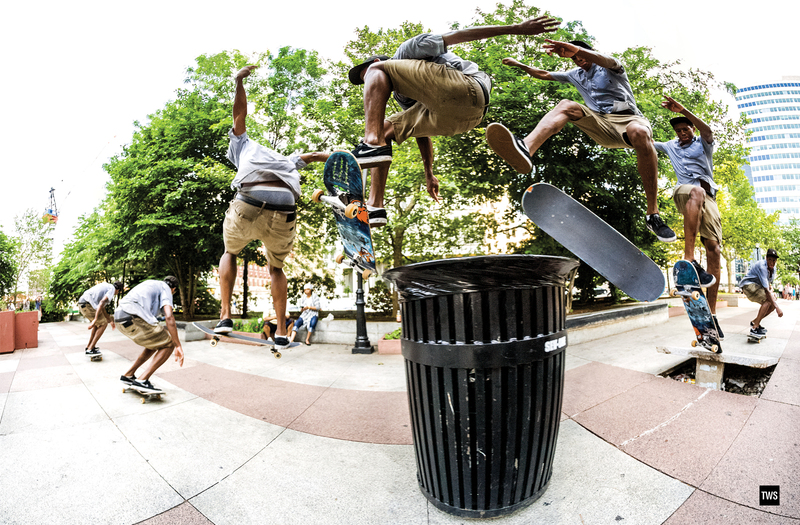 Ishod Wair with a huge frontside heelflip in the City Of Brotherly Love. From our Philadelphia, Pennsylvania World View article in the March 2013 issue. Click on the photo for the large version, then download or drag it to your desktop. Real giveaway! Instagram or Tweet @transworldskate a photo of this set as your desktop and use the hashtag #wednesdaywallpaper. We'll pick a lucky winner to receive an Ishod Champion Oval deck from Real! Congrats to @lukulele_ for winning last week’s Stereo giveaway!